With Thanksgiving quickly approaching, the word thankful is on everyone’s minds. We’re all thankful for something — most of us, for many things.It may not cross your mind to be thankful for your HVAC system, but as a homeowner, you should be. All year long, your HVAC system is working behind the scenes to keep your home running efficiently and keeping you and your family comfortable. First reason to be thankful is our HVAC systems heat and cool the home.This may seem obvious, but it’s something most of us take for granted. Without an HVAC system, your home would be the same temperature as outside. Here is North Carolina that means during the winter it would be just as cold inside as it is outside. An what a sweating mess we would all be during those sweltering summer months.We all owe our HVAC systems a big thank you for keeping us warm during the winter and cool during the summer. Second reason to love our HVAC systems is they continually pump clean, fresh air. The air filters used by your HVAC system filter out pollutants like dust, dirt, pollen, mold, and other allergens. It then pumps fresh air throughout your home, keeping it comfortable, and you and your family healthy. Because they filter out pollutants, HVAC systems help you avoid respiratory issues. And for people who have existing conditions like asthma, they make the home a more comfortable living environment that’s easier to breathe in. In addition, HVAC systems that come equipped with a carbon monoxide detector warn you if there is a build-up of dangerous gases, keeping you and your family safe. Finally our HVAC systems are cost efficient. It costs a lot to own and maintain a home, and an HVAC system that runs smoothly and is cost efficient is definitely something to be thankful for. Aside from maintenance check-ups and air filters, as well as replacing the odd part here and there, your system really isn’t too expensive to have once you think about all the things it provides to your home! Plus, many HVAC systems are now green. Look for the Energy Star rating — that means your system is energy efficient, which is good for both your wallet and the environment. 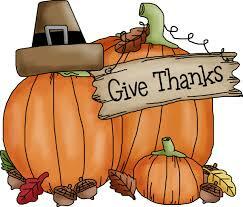 While you’re counting your blessings this Thanksgiving, be sure to count your HVAC system, too. It works hard all year to keep you and your family comfortable and breathing easily. While you might not notice it on a regular basis, you would notice its absence right away. Be sure to take care of your HVAC unit this Thanksgiving by getting it serviced by one of our qualified technicians. « Touchless Bathroom Fixtures- Do they Help Keep Us Healthy?